IU House in Eldoret is home to a small city of expats within Western Kenya. It's electric fence and high cement walls separate it from the rest of Eldoret. Behind these walls is a neighborhood of large houses separated by their own gates and fences. 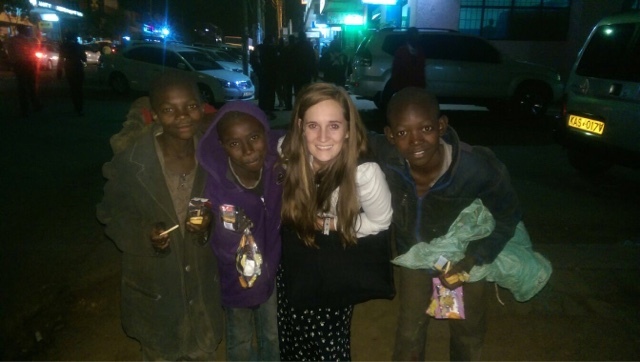 I live here, sourrounded by other expats who have ventured to Kenya to change the world. Eldoret is a small city with almost anything you can think of. Nakumatt, a Walmart like grocery store, night clubs, resurants, gyms, even a basement movie theater. For a small city there is always traffic and congestion. Hundreds, even thousands of Kenyans clog sidewalks and road. 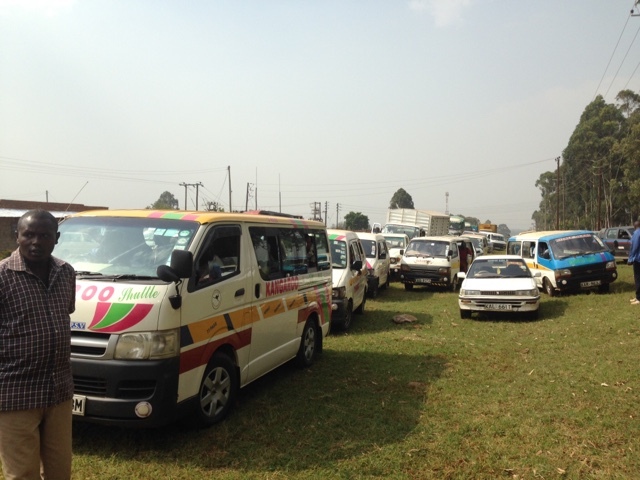 Motorcycle taxis called pike-piki's and small van-buses called matatus drive crazily through the congested streets. Vehicles turn up the red dust on the road and big trucks release black exhast into the air. At every corner kenyan sales people yell their wares and welders and builders bang hammers creating a cacophony of sounds. A kilometer away from this hustle and busel lies IU House with its high concrete walls and electric fences. Within its gates lies a quiet neighborhood of global health activists and academic scholars. Neighbors wave and greet each other as they walk by. Evenings are filled with basketball games, movie nights, bbqs and wine and cheese socials. Games of trivia mix with intellectual conversations of how we are going to save the world. Each morning groups of doctors and medical students leave the protected gates to walk the 15 minutes to the local government hospital. Each evening we walk back trading stories, often sad, with our collegues. Doctors, pHd students, agriculturalists, pharmacists, entrepreneurs, business men and women, medical students and teachers sit together over coffee trading ideas. IU house is a unique community. We all want to be here and we all want to make a difference. We are not paid well but here money is not our obsession. We enjoy talking about our projects and we strive to inspire each other in the process. We have built a family, an IU family, different from the families you know. It's a family where mentors sit with their students and pharmacists and doctors work side by side. 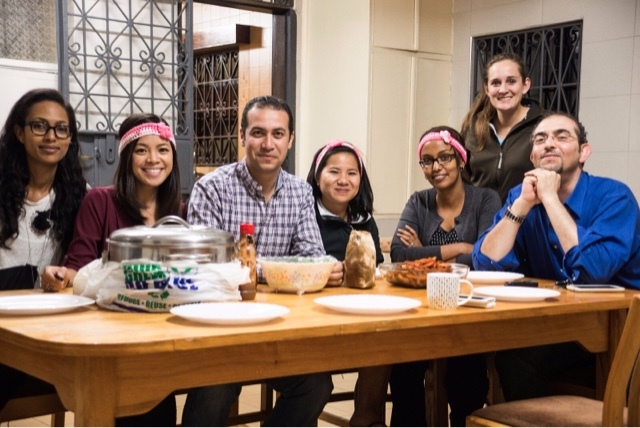 Surgeons and horticulturalist trade tips and we all put on tennis shoes on Friday and play an intense game of football (soccer) with the street boys. It's been a breath of fresh air from the mundane and ridged structure and hierarchy of medical school. 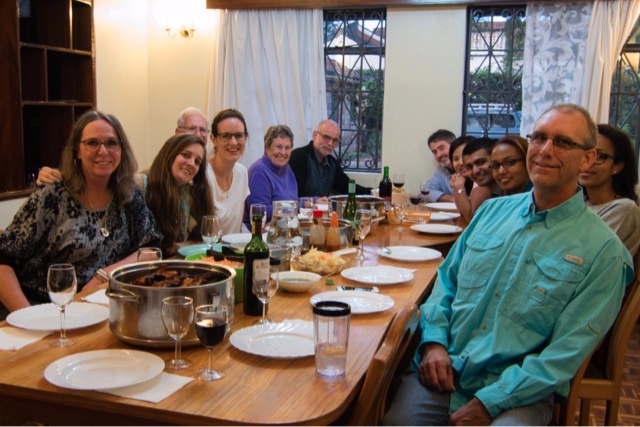 Here doctors teach students how to show compassion, working in Kenya teaches us how to be culturally sensitive and we all work together to learn something new each day, even if it's not in your field of interest. We all love what we do. It can be sad and frustrating sometimes, but we sleep well knowing that we are doing something that will hopefully make Kenya and the world a better place to live.